Is it me, or should this seriously be my first Santana? Discussion in 'Electric Instruments' started by Glide-bpm, Sep 15, 2018. The wife would kills me.... aCk!!! g.wizz, TRJC24PRS, dogrocketp and 10 others like this. Maybe. Does it speak to you? g.wizz, dogrocketp, LSchefman and 3 others like this. You already know my answer. dogrocketp, Elliot, Glide-bpm and 1 other person like this. Mbroadster and Glide-bpm like this. ".... this is your wife..... quit looking at those @$#%ing guitars......."
g.wizz, Fullmoon 1971, justjoshin and 8 others like this. Fat bottom girls... you know what they do... right? Glide-bpm, Tonart, sergiodeblanc and 1 other person like this. dogrocketp, sergiodeblanc, Dirty_Boogie and 1 other person like this. no, mine... and wow you are having some retirement. oil man? g.wizz, TRJC24PRS, dogrocketp and 9 others like this. g.wizz, dogrocketp, Glide-bpm and 2 others like this. Preach! This is solid advice! Glide, of course you should do it! g.wizz, dogrocketp, Glide-bpm and 1 other person like this. Are the voices saying "Buy Me ? " That is one seriously awesome guitar ! Oh man......... ......... ......... do it! I LOVE the cherry charcoal burst!!!! 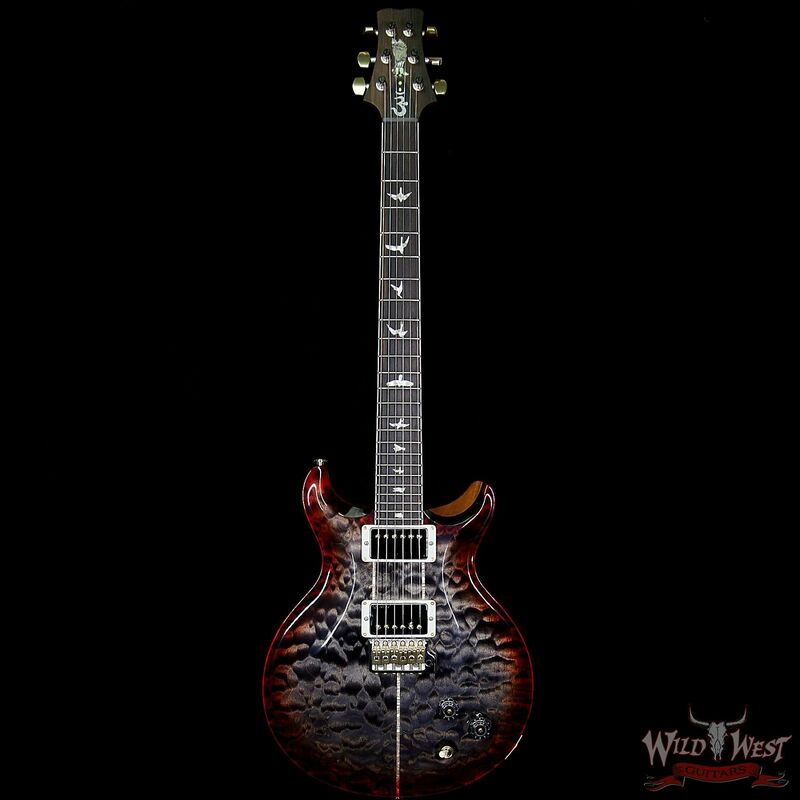 The bad part about prs is I desire nearly every model they make, what the hell is a guy to do?????? g.wizz, Alnus Rubra, Glide-bpm and 2 others like this. Actually...it should be your second Santana...because you should already have one! g.wizz, MichaelS, Alnus Rubra and 7 others like this. Sell some other stuff to assuage the guilt, and buy the damn thing. g.wizz, Alnus Rubra, markd21 and 5 others like this. If you start late, you have to go big. g.wizz, Alnus Rubra, Glide-bpm and 4 others like this. Do you have a tracking number yet? Alnus Rubra and Glide-bpm like this. "Better to ask for forgiveness......."
g.wizz, Alnus Rubra, Fullmoon 1971 and 2 others like this. Its pretty (and I think Santanas are the prettiest PRS), but the last guitar I bought was pretty too. Trouble is it wasnt the best example of that model available. The best one was a gaudy top that I didnt like the look of. Ive had buyers remorse ever since. Because you spend more time playing it than you do looking at it. g.wizz, Alnus Rubra, LSchefman and 1 other person like this.